Two of Louis C.K. 's longtime television network collaborators are taking action after allegations of sexual misconduct were brought against the comedian on Thursday in a story by the New York Times. HBO has taken steps to distance itself from Louis C.K. The network announced the comedian will not appear in its upcoming "Night of Too Many Stars: America Unites for Autism Programs" event and said his previous projects will be pulled from HBO On Demand services. HBO, like CNN, is owned by TimeWarner. "Night of Too Many Stars," an event featuring stand-up performances and sketches, is set to air as scheduled on November 18 and will be hosted by Jon Stewart. FX, meanwhile, said it was "very troubled" by the allegations against Louis C.K. and said it is conducting an unspecified review in light of the accusations. 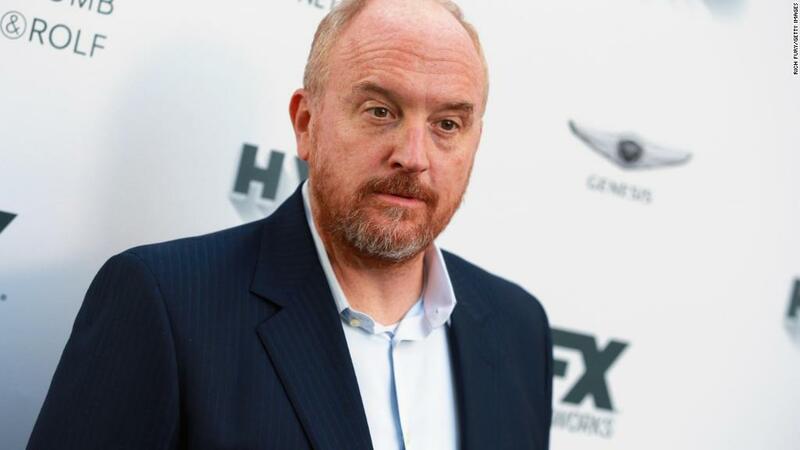 "The network has received no allegations of misconduct by Louis C.K. related to any of our 5 shows produced together over the past 8 years," FX said in a statement. "FX Networks and [FX Productions] take all necessary actions to protect our employees and thoroughly investigate any allegations of misconduct within our workplace. That said, the matter is currently under review." Louis C.K. has served as executive producer for "Better Things," "Baskets," and his auteur comedy "Louie" for the network. On Thursday, Louis C.K. was accused of sexual misconduct by five women who allege he acted inappropriately with them. CNN has not confirmed the women's stories independently. A representative for Louis C.K. initially said the comedian would not be answering "any questions" regarding the matter. Later in the day, the spokesperson said Louis C.K. would be issuing a written statement "in the coming days." The New York City premiere event for Louis C.K. 's film, "I Love You, Daddy," was abruptly canceled on Thursday, prior to the publication of the Times story. CNN's Chloe Melas contributed to this report.